Professor John Hudson of the School of History, and PIMIC partner, has been elected Fellows of the British Academy. Professors Hudson is among 42 new Fellows named by the Academy, in recognition of their world-leading research into the humanities and social sciences, including law, linguistics, economics and history. Together, Professors Hudson and Lorna Hutson- who has also been elected member of the British Academy-, have co-directed The Centre for Mediaeval and Early Modern Law and Literature at the University of St Andrews for the past five years. The British Academy is the premier body in the United Kingdom representing the humanities and the social sciences, the counterpart of the Royal Society for the Natural Sciences. 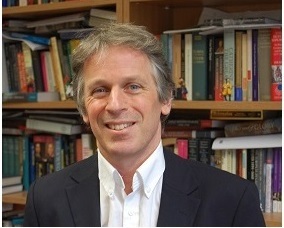 An expert in both mediaeval studies and legal history, Professor John Hudson’s work focuses on 9th to 13th century England. His research also spans mediaeval historical writing and late 19th century study of mediaeval England. At the University of St Andrews, he is founding Director of the Institute of Legal and Constitutional Research, and he has a visiting position as William W. Cook Global Law Professor at the University of Michigan. Professor Hudson is already a Fellow of the Royal Historical Society and of the Royal Society of Edinburgh. He has given invited research lectures around the world, collaborates with the Consejo Superior de Investigaciones Científicas (CSIC, Spain), is general editor of the series Medieval Law and its Practice (Brill) and is currently on the editorial board for The Mediaeval Journal. You can learn more at the University of St. Andrews’ blog (here).